The subterranean Chamber of the Great Pyramid. 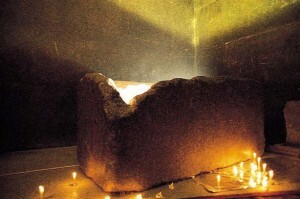 The sarcophagus in the King's Chamber of the Great Pyramid - was this used for a symbolic death and rebirth rite of initiation? 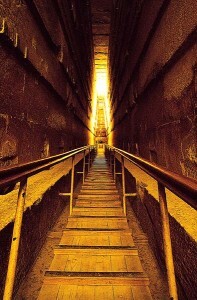 The descending corridor of the Great Pyramid. 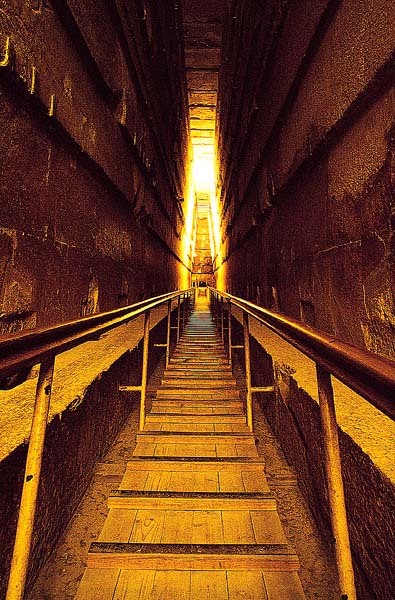 Was this built as a 3-D 'model' of the Duat to initiate the new pharaoh into the mysteries of the Netherworld? 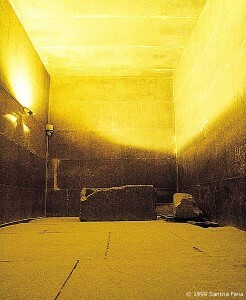 See Gallery 4, image 6. 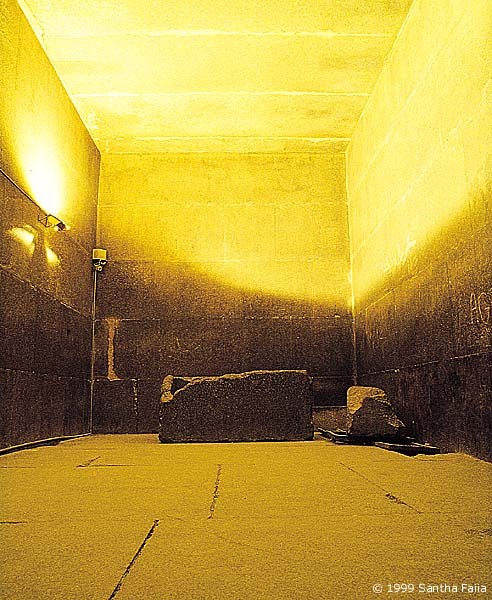 The Grand Gallery of the Great Pyramid. 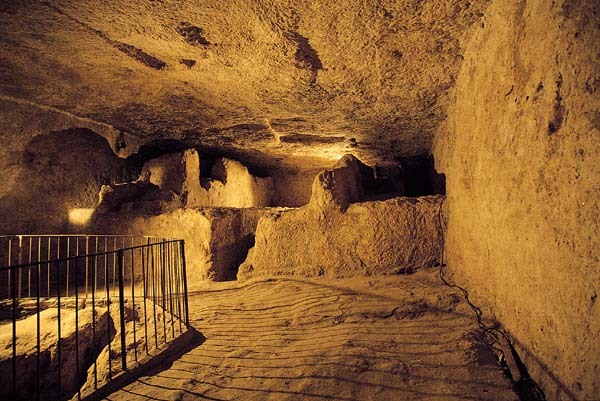 View of the King's Chamber from the east. 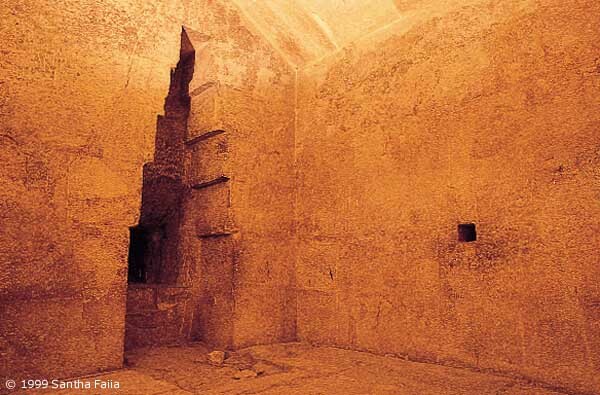 This chamber provides a wealth of mathematical and numerical knowledge within its dimensions. The Queen's Chamber of the Great Pyramid with its curious corbelled niche of unknown function. 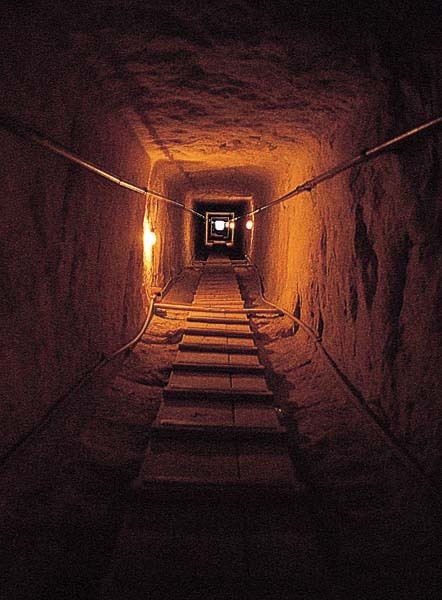 Robot-camera explorations of the narrow shaft to its right have uncovered the remains of a possible door that may lead to a previously undiscovered chamber.